I don’t care if you’re lost in the woods or trying to bug out, one of your top survival priorities is going to be some sort of shelter. Shelter is anything that protects us from the wind, rain and cold. As such, it’s an important part of meeting our number one survival need; that of maintaining our body heat. But while shelter is important for our survival, few people carry shelter with them, unless they are backpacking and camping out. 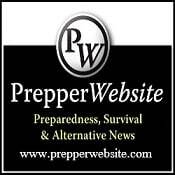 Rarely will you find shelter listed on anyone’s bug out bag list. Rather, they expect you to construct shelter from what you find in the wild. While this is possible, it helps if you have something to start with. Fortunately, there is actually quite a bit that you can find in the wild, which can provide some sort of shelter for you. How good that shelter will be, will depend a lot on what you are able to find, as well as the weather conditions that you need protection from. A cold winter day requires much better shelter than a warm summer night does. While it is possible to make a shelter out of just these materials, you’re going to save time and probably end up with a better shelter, if you can use what nature provides as a starting point. So, you’ll want to keep your eyes open as you travel, looking for an ideal place to spend the night. Ideally, you want to establish camp a couple of hours before sunset. That will give you time to find or build shelter, gather firewood and start a fire. While you could try to do this after dark, you’ll find that it’s much harder to do. Since flashlight batteries tend to go dead after a while, you’ll want to conserve battery power, rather than using it to build your shelter. Your best option is if you can find an empty cave somewhere. Mankind used caves to live in, before we started building houses. Even afterwards, we find times where the best possible shelter has been a cave. The big risk with caves is that they are rarely unoccupied. So before setting up camp, you want to make sure that you’re not in a bear’s parlor or a wolf’s family room. Animals need shelter too and will quickly adopt an empty cave as their own. You can probably run these animals out, but even that might be a bit risky. The other thing to watch out for with caves is flooding. Some caves can flood when it rains. So look around for signs that the water has risen in the cave previously. If you can’t see any, it’s probably safe from that. Anywhere there is rock, there will be places where the rocks are situated in ways that offers shelter, especially from the wind. Adding a roof over such a place can provide you with a hideaway that’s just about as good as a cave. Your tarp and other materials can be used to construct that roof or even to close off one side, making the spot you select more secure. The erosion process of water can provide some excellent shelter, especially if you can find a place where the water has undercut an embankment, leaving it roofed over. This is essentially what Mesa Verde is, and the Indians of Mesa Verde built entire villages in their caves. An undercut embankment, with tress in front of it to act as a wind break, is an almost ideal wilderness shelter. Of course, like I mentioned with the caves, you have to watch out for rising water. If there’s a storm coming, you probably don’t want to camp out here. If you do, keep a close eye on the ravine or river in front of you. Make sure that you’ve got a good avenue of escape planned out, just in case a flash flood should occur. If you can’t find any of the above, look to the trees. Thick stands of trees actually provide quite a bit of protection from wind and rain; the thicker the better. A small clearing in the midst of the forest can actually be quite snug, with the tree canopy protecting you from the rain and the smaller trees and bushes protecting you from wind. Saplings can be cut easily or bent to connect them together and form a shelter out of them. A group of saplings, with a space between them, is an ideal place for a hut. Simply bend the tops of the saplings together and tie them there. Then take cut branches and tie them to the saplings, increasing the amount of foliage to block the wind and rain. A single large pine tree can make a perfect shelter, all by itself. Pines are unique in that their branches grow more or less straight out from the tree’s trunk. As the branches get longer, this causes them to dip down, so that the tip of the branch can be several feet below the level of the branch’s root. This offers a perfect opportunity for shelter. Find a large pine tree, which has the bottom branches brushing the ground. If you separate the branches, you will find an empty “tent-like’ area beneath them. There might be some dead branches, still attached to the trunk, but they will break off easily, leaving you with a nice clear area, carpeted in a thick layer of dried pine needles. You can improve upon this shelter, if needed, by stacking additional pine branches, debris from the forest floor or even snow against the outside of your shelter. That will help keep the wind from blowing through, under the bottom row of branches. You’ll occasionally run across trees in the forest, which have been uprooted by some storm. These can provide excellent shelter in one of two ways, especially if the tree is recently fallen. The first is that the root mass will often provide a solid wall, which can be used as s windbreak. The second is that there will usually be a space under the branches, which is somewhat protected by the branches that are still attached to the tree. This sort of shelter will pretty much always require some sort of improvements; but the uprooted tree gives you a great starting point. Adding a tarp to close off one side or to make the roof more waterproof will turn that tree into a snug hideaway. Don’t forget man-made structures either. People have occupied this world a whole lot longer than you and I. In many cases, they’ve left behind some sort of structure, which can be used as a shelter, even if it is only the ruins of what they’ve built. I’ve stayed in the remains of broken-down log cabins, the entrance of mine shafts, and other abandoned buildings. The thing you have to be careful about here is that these structures may not be all that safe and secure. Be sure to check out your immediate vicinity before it gets dark, including escape routes. Whatever happens, don’t allow yourself to retreat into an area you haven’t explored. You’re better off heading out into the open, then going into an area that you aren’t sure is safe.